Food scarcity is one of the most common problems victims face during a crisis. 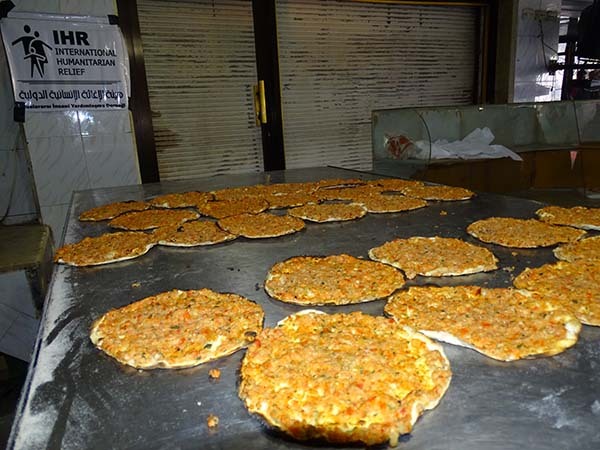 At IHR, we pride ourselves on finding the best methods for nutritional provision to deprived communities. 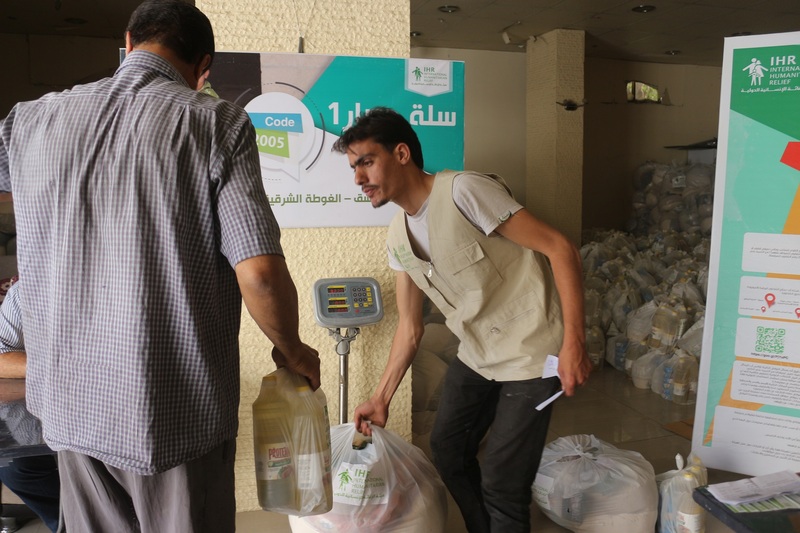 Through the distribution of food parcels and the initiation of sustainable projects, we try to assure that those in besieged areas can still receive the sustenance they need to survive. 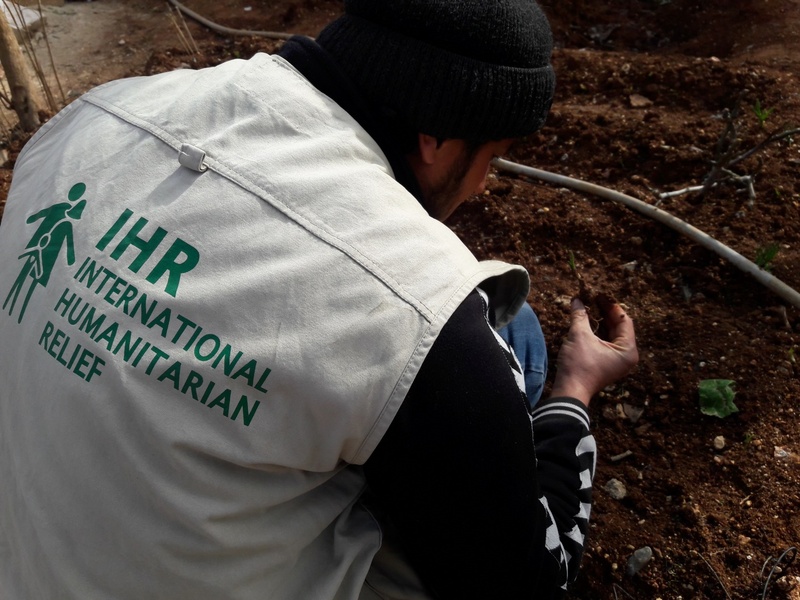 IHR’s role is to improve derelict zones by reviving agricultural lands, building small factories and creating bakeries. These projects provide job opportunities for local residents and thus boost morale while enhancing the quality of life. 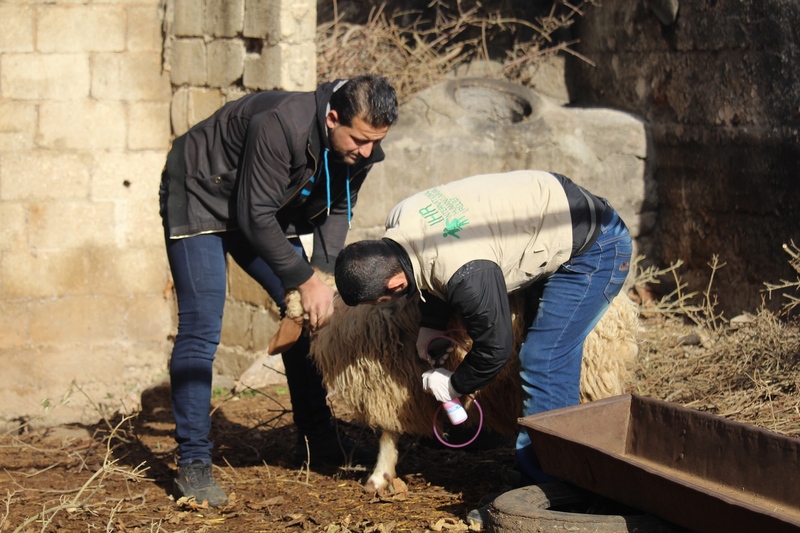 This project aims to provide technical support to cattle breeders specifically milking cows’ and ewes’ breeders as an attempt to preserve the livestock size in all besieged areas of Rural Damascus particularly Eastern Ghouta. Considering that the livestock size is decrementing day by day affected by the imposed besiegement. Therefore, this project will focus on targeting 79 milking cows’ breeders and 34 milking ewes’ breeders and will provide them with a sufficient quantity of fodder that suffices their heifers for a period of time, considering that the availability of fodder is very rare. Additionally, through this project breeders are going to be invited to attend a series of awareness sessions to increase their awareness and preparedness in terms of the different ways of breeding to follow and how to increase and develop their personal livestock size. Not to forget that a series of market linking events are going to be provided to all selected breeders and interns. 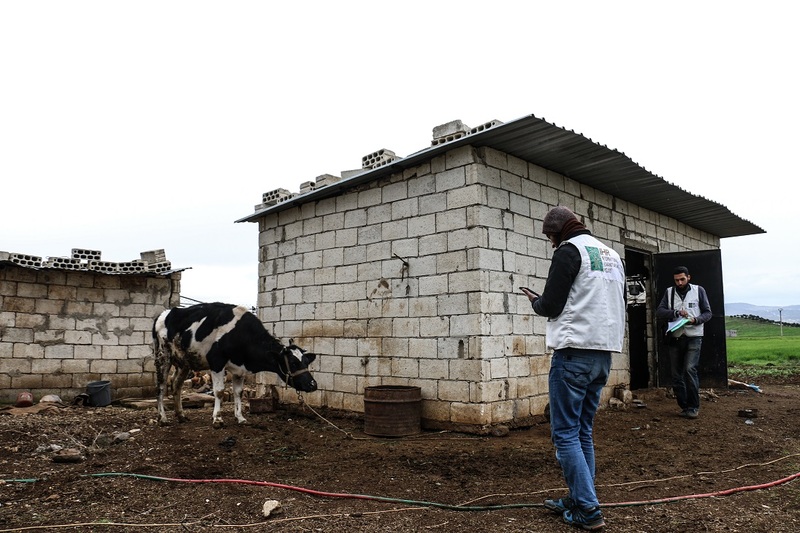 These events will help targeted beneficiaries identify all possible gaps milk production is facing and work on proposing all possible solutions. Moreover, this project is going to provide a job opportunity for 113 young breeders who will be recruited to support the direct beneficiaries for a monthly salary. Finally, through this project we are going to be supporting two peasants’ federations by establishing one training room for each federation to be used to serve all farmers. 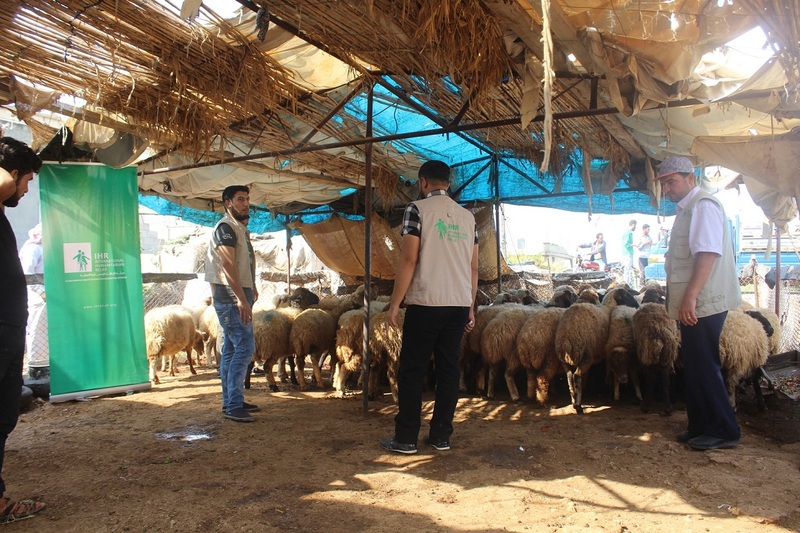 This project aims to provide technical support to cattle breeders specifically heifers’ breeders as an attempt to preserve the livestock size in all besieged areas of Rural Damascus particularly Eastern Ghouta. Considering that the livestock size is decrementing day by day affected by the imposed besiegement. Therefore, this project will focus on targeting 117 heifers’ breeders and will provide them with a sufficient quantity of fodder that suffices their heifers for a period of time, considering that the availability of fodder is very rare. 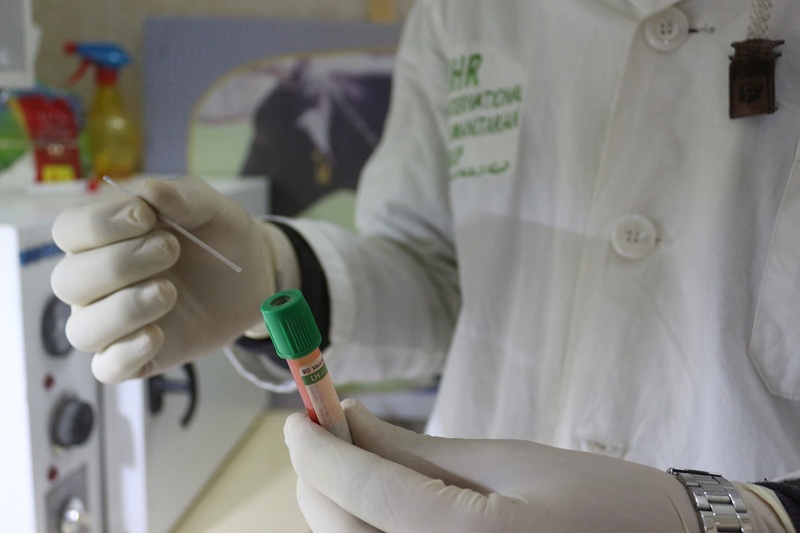 Additionally, through this project breeders are going to be invited to attend a series of awareness sessions to increase their awareness and preparedness in terms of the different ways of breeding to follow and how to increase and develop their personal livestock size. 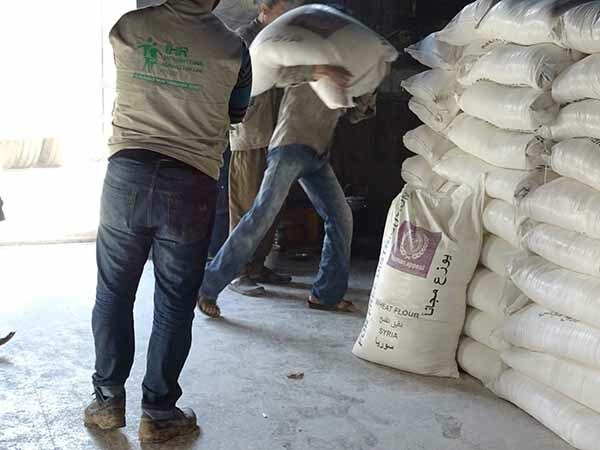 Preparation and cooking of 639 hot meals to be distributed on 639 families from the besieged Douma city in Eastern Ghouta (the meal consists of cooked rice and cooked meat weighing 3,300 grams) daily for ten days in a row. Where the region is currently experiencing very difficult security conditions, including the closure of all crossings through which local traders can supply the region with various supplies of food and non-food, non-availability of all kinds of food and non-food goods and the very high prices of those available ones. 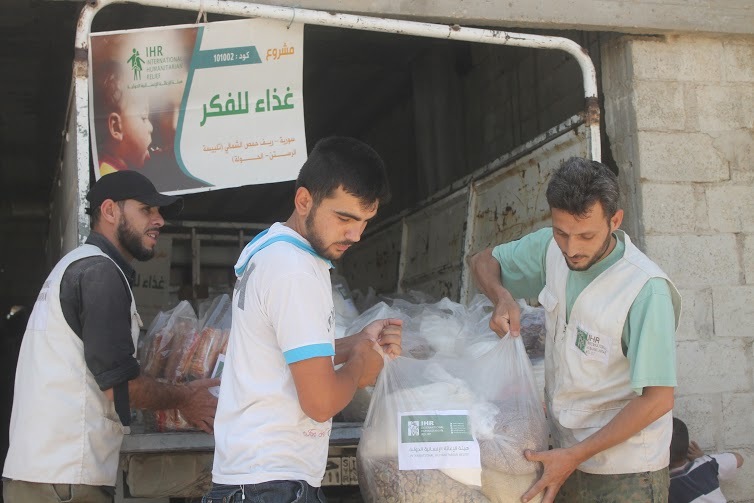 Thus, the idea of ​​this project was to cook and distribute hot meals to families that have not yet received any kind of assistance from any party in the besieged Douma city as an attempt to address the negative consequences of this brutal siege. •86 beneficiaries profited from Fodder distribution two times throughout the project. •Approximately 1, 827 beneficiaries profited from the mobile clinic. 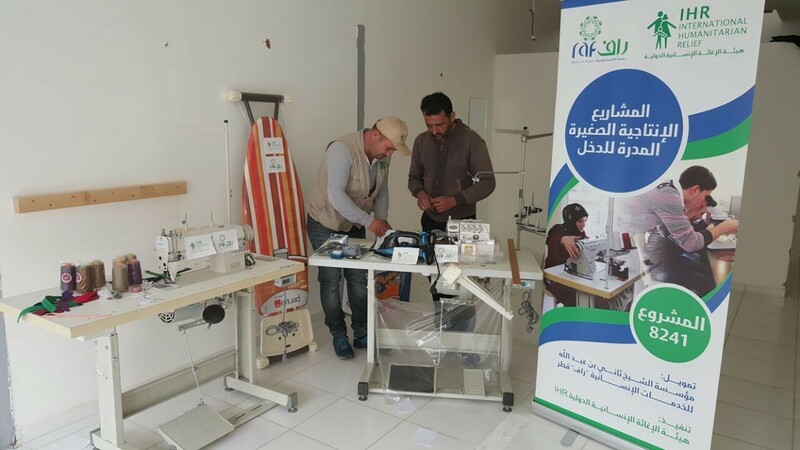 •68 beneficiaries participated in four private awareness sessions. •570 Beneficiaries will benefit from public awareness sessions. different topics related to livestock rearing and associated skills. 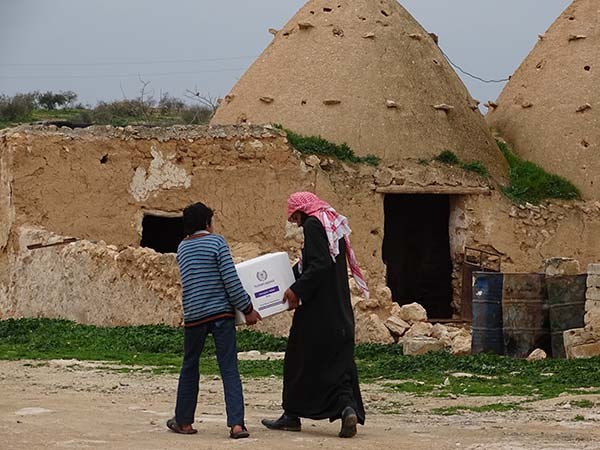 2100 Households in the North Rural Homs Areas. 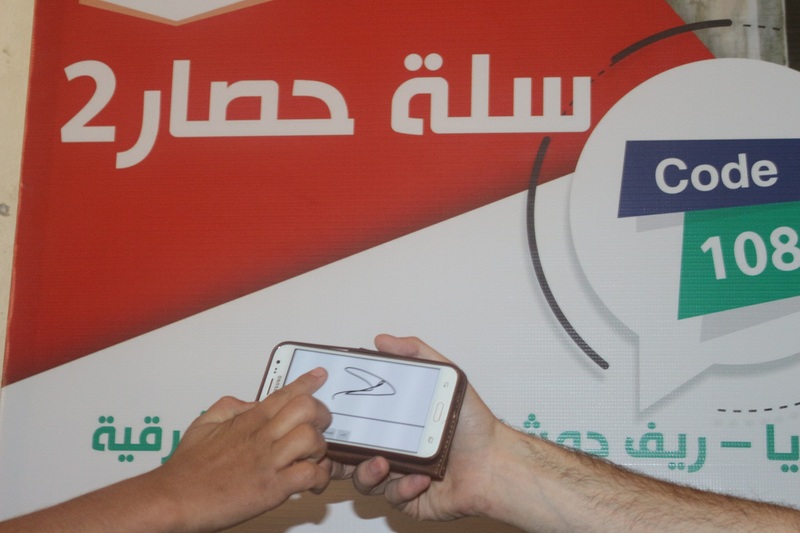 The Toolkit project aims to transform Syrian Refugees into positive roles models for generations to come by providing them with job opportunities and enabling to earn their own salary. Moreover, this project helps those beneficiaries by providing them with a stable financial source that insure their ability in procuring their basic needs. IHR received 318 applications, 43 of which were provided with technical, managerial or accounting training courses and the proper tools to help them launch their own businesses. 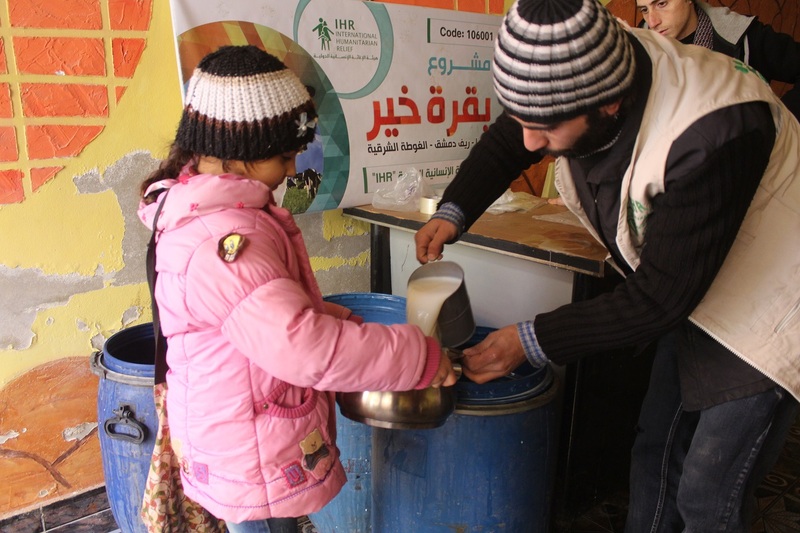 This project aims to provide those Syrian families with food items. Essentially minimizing the daily sufferance that the Syrian refugees in Lebanon are facing. 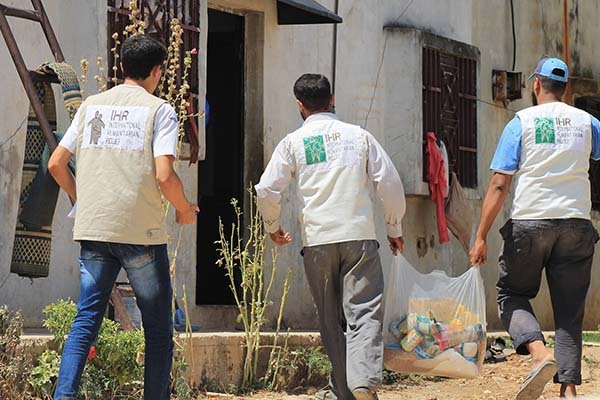 So far IHR has been able to distribute 2,649-Food Baskets to 2,649 Syrian families in Bekaa and Akkar which will suffice them for a whole month. 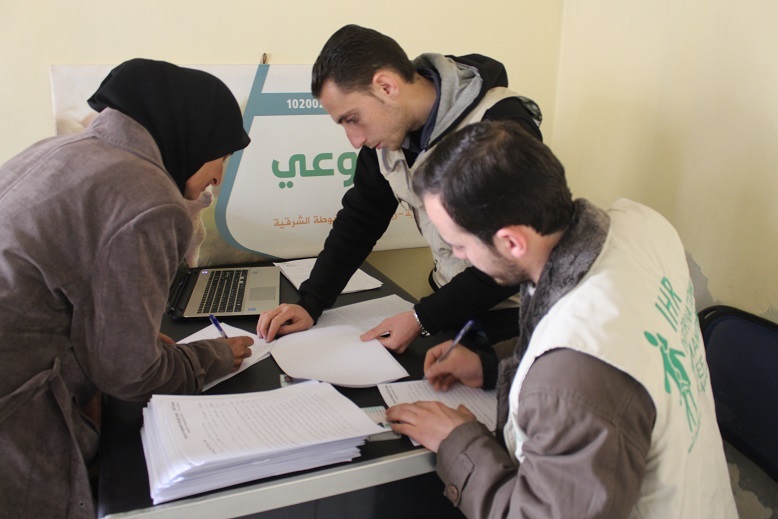 The Project supports sustainable livelihoods through improved incomes and food security for the poorest segments of Rural Damascus, notably displaced widows. IHR has provided these widows with 3 pregnant ewes each, along with a 2 months’ supply of fodder. This Project also includes regular veterinary care as well as a Vet Centre set up for constant and convenient assistance access to beneficiaries. Last but not least, the Al-Rihan Centre for Women Dairy Farmers (مركز الريحان للنساء المنتجات) was set up to serve as a women’s community centre where locals from both districts can feel free to gather and discuss their experiences and achievements. The Al-Rihan Centre for Women Dairy Farmers also serves as a hall for various training seminars on milk production techniques, sheep rearing and money management skills. By introducing them to an occupation they can utilize (i.e. sheep farming), this Project offers many benefits to women: reducing their economic dependency, and strengthening their own (and their children’s) food security. This will contribute to women’s empowerment and in the long term will help expand sheep and lamb markets in the targeted areas. 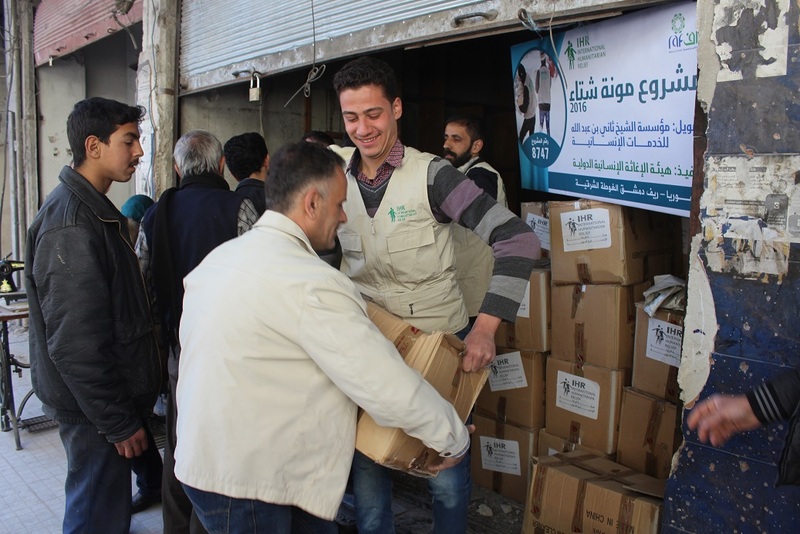 Contributing to providing minimum standards of food security to the inhabitants of Eastern Ghouta by distributing comprehensive food rations to them, alleviating their financial burden. 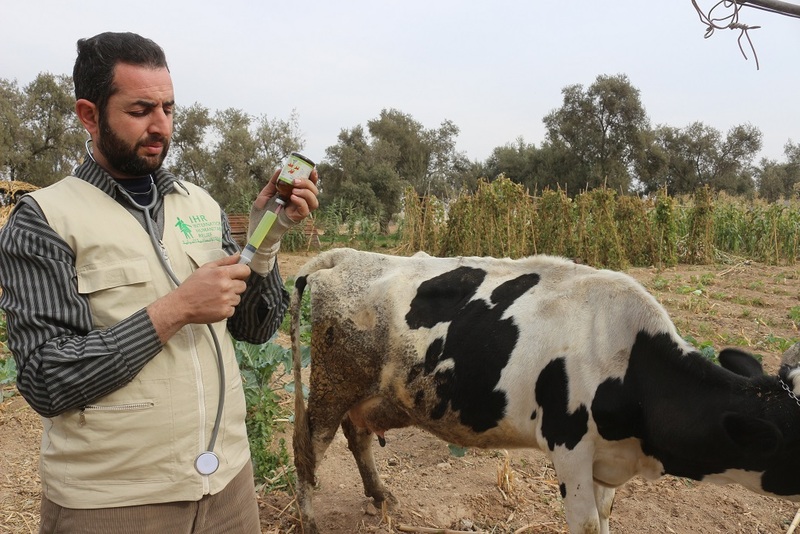 The project aims to counter the decrease in cattle population in Eastern Ghouta by providing cattle farmers with one cow each –along with a 3 month supply of fodder– and selling their milk product at an IHR-run center in the town of Misraba. This, in addition to regular veterinary care – a Vet Center open for consultations and awareness sessions open to the public. This ensures a sustainable source of income for the direct beneficiaries (31 selected farmers) all the while providing low-cost quality milk to the indirect beneficiaries (the residents of Misraba). For more than 3 years, the people of Talbiseh have been living under siege deprived from essential food & living supplies. 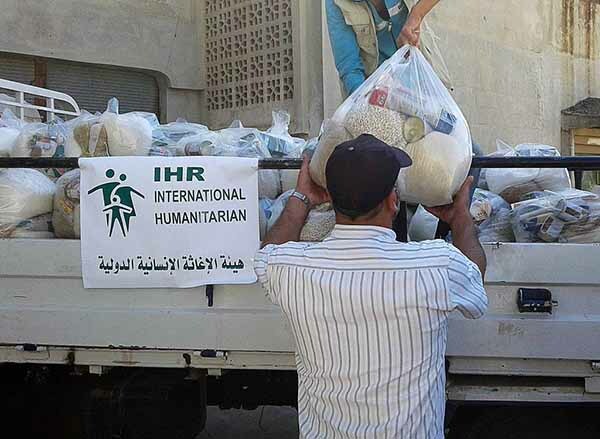 Therefore, IHR team alleviated the needs of the people by distributing food baskets that included meals and products. The project aimed to provide food to IDPs as they reached safer places by distributing 5000 food basket to 2500 new family. 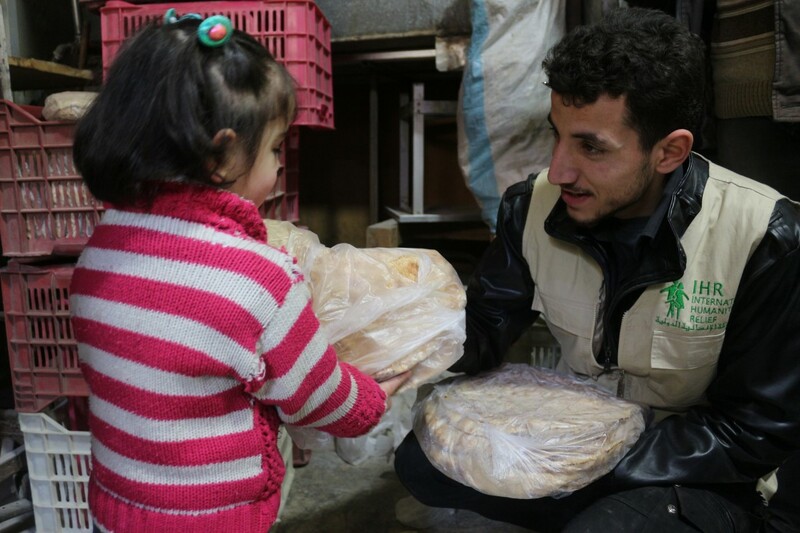 Eastern Ghouta lacks all essential living dietary materials as it has been under siege for a long time. As part of its long-term local projects strategy, our team started working on a ‘Harvest (corn and eggplants) for Farmers’ project. This consisted of providing seeds and seedlings for farmers and offering technical support in order to till the soil and make the land arable. 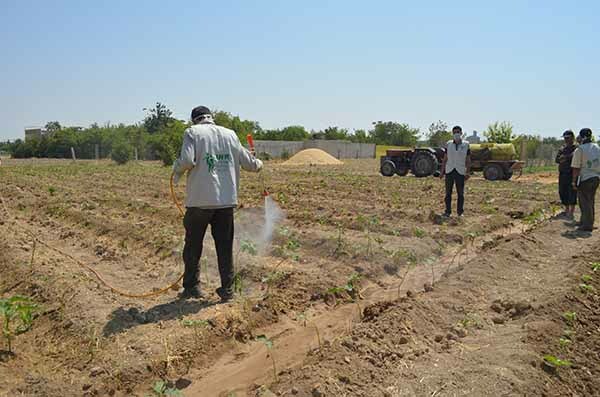 In addition, our team supplied farmers with fuel for water pumps and secured experts to supervise the project from the very beginning until crop production. Idleb city and Saraqib rural. 10526 IDPs from Idleb city and rural Saraqib. 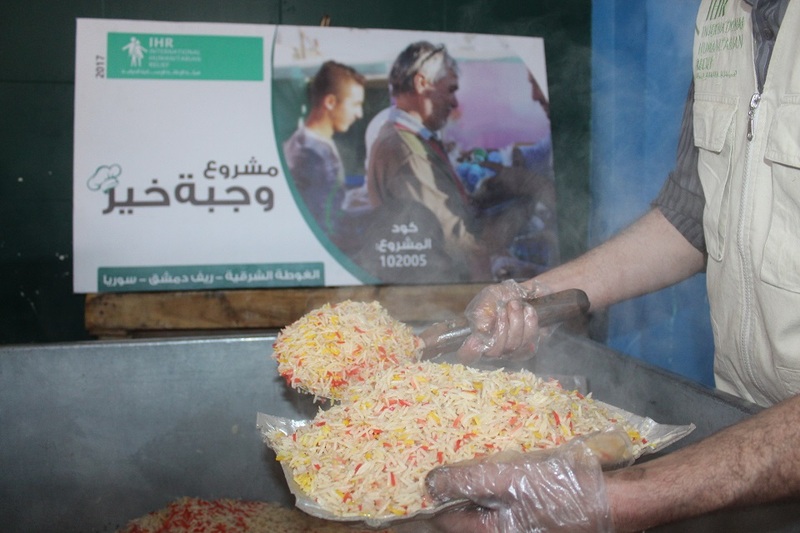 The project aimed to provide food to IDPs by distributing 10526 daily personal cooked meals to IDPs in Idleb city and Saraqib rural. 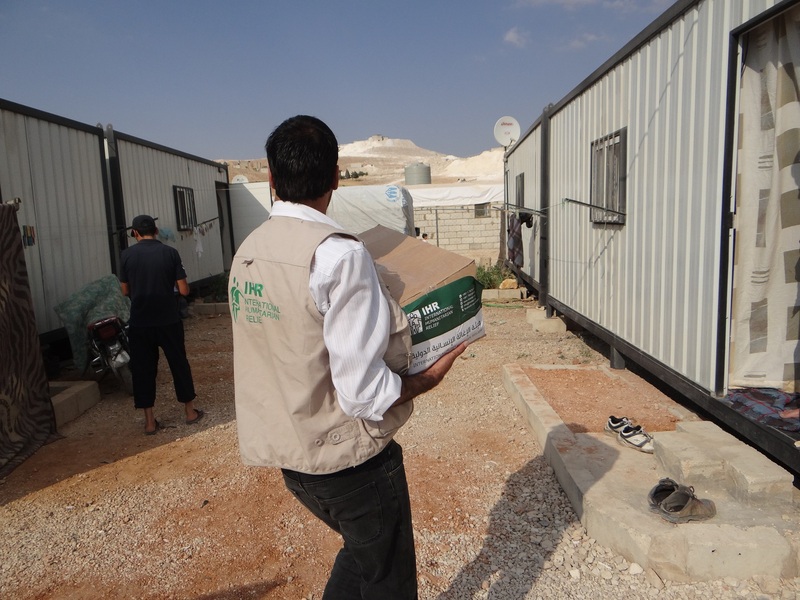 Our team distributed 500 emergency food basket to 500 new IDP families in need in Qaser Bin Wardan. 21100 family of IDPs and peopel in need. 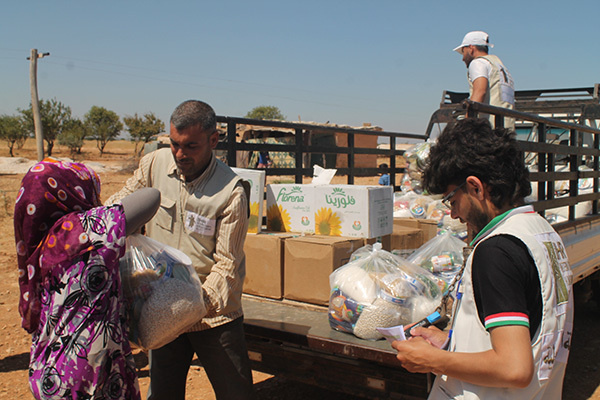 Our team distributed 10000 Food Baskets in camps located on the border. 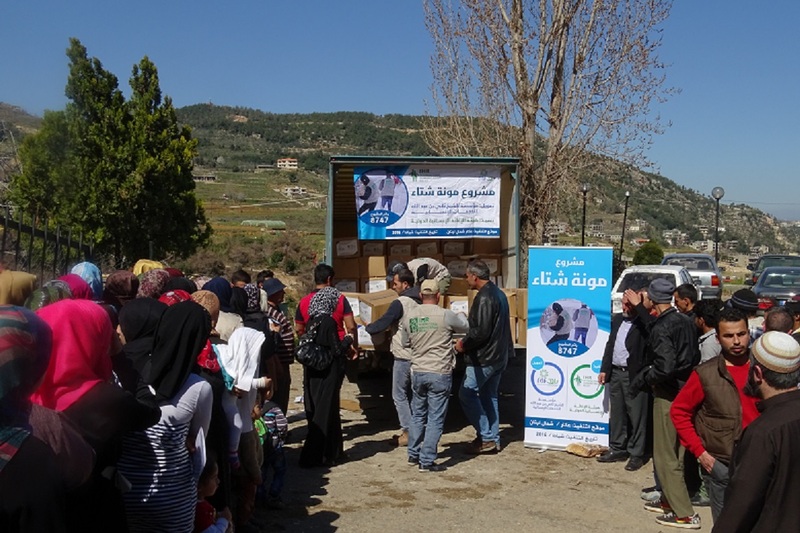 IHR coordinated with Human Appeal and another 11100 Food Baskets were given out to families in rural Saraqib – Jarjanaz – Sahl Al-Ghab – rural Ma’arat Alnuman every month. This results in food security for the families and decreased health deterioration as a result of malnutrition. Update: the contract was extended until the end of 2015, adding Idbel city and rural to the targeted locations. We determined the deterioration of food security was dire and the the needs of people in the north countryside of Homs were not being met. 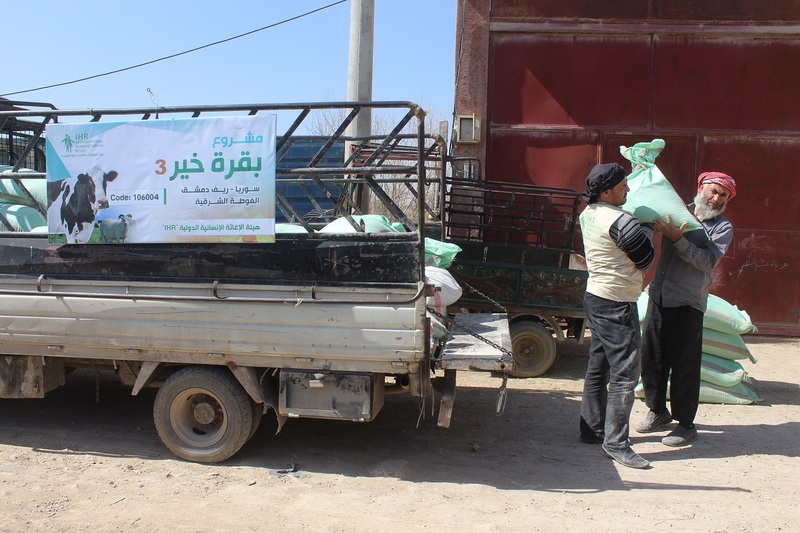 IHR implemented a 3-stage project to distribute Food Baskets among displaced families in addition to distributing bread at Al-Rastan area. 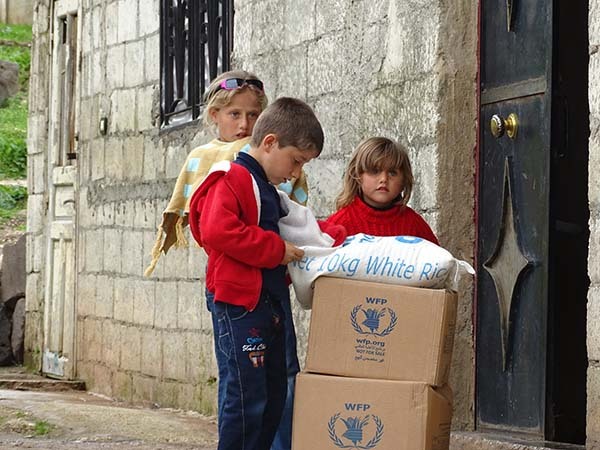 Improving the situation in besieged areas suffering from severe food shortages has always been a priority to International Humanitarian relief. Each bakery cooks 1 ton/day of flour which means around 1000 bread loaves – an average of 50 tons per month for the two bakeries. 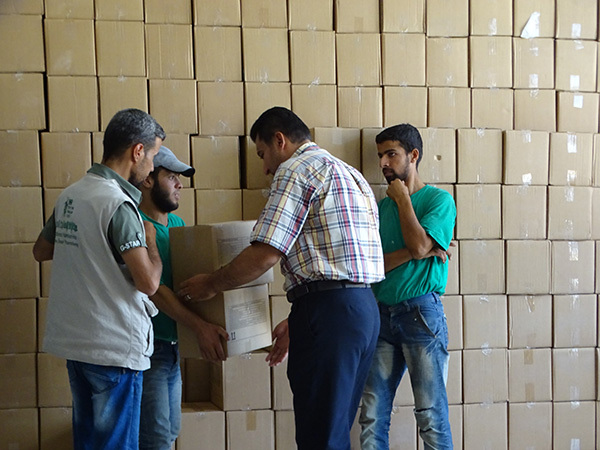 Our team distributed 2000 bread loaves daily to people at a price of 35 Syrian Pounds/per loaves. Update: the contract was extended and 75 tons of flour was produced per month. 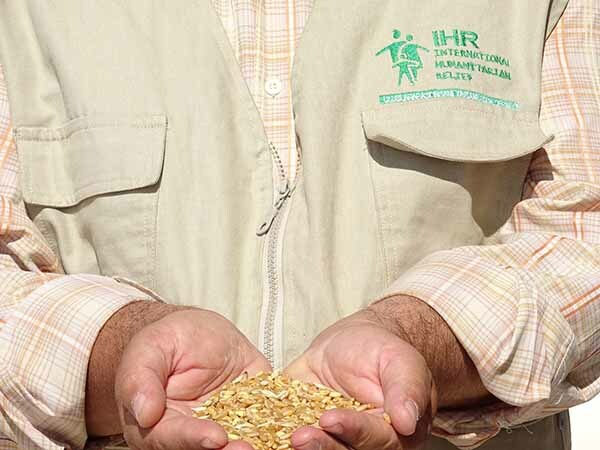 The project aims to keep farmers in their lands and preserve local wheat types. As all people of rural Aleppo benefit from this project, the projects plants 287 hectares of land. From the lands wheat was cultivated, providing flour and bread resulting in bread loaves being sold for less. The Raising Rabbits project provided a dietary protein source as a replacement for the protein usually provided from sheep and beef. 2) insemination and mating 4) Selling rabbits for a cheap price. These steps allowed families to buy rabbits, raise them, then eat them. 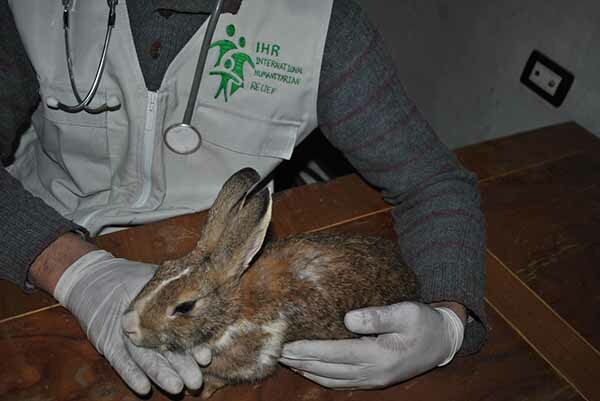 This project was one of the most significant projects carried out by IHR as the rabbits, unlike other animals, have short pregnancy durations and large births number.